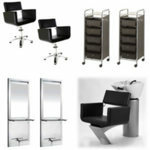 Direct Salon Supplies Ltd: Special Offers! Direct Salon Supplies White Beauty Saddle Stool, popular white saddle stool ideal for beauty salons or spa's, ergonomic seat with gas pump and chrome stand. Dimensions base width 60cm, saddle seat width 41cm, height 60cm to 80cm. 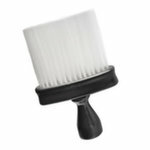 Dmi T Neck Brush, hardwearing construction neck brush with black body and long white nylon bristles, this brush stands up on its own if stood on the handle. Great for any hairdressing or barbers. Dimensions height approx 15.5cm, width approx 10.5cm, depth 3.5cm. Kodo Black Brush Stand, work top stand for storing all your blow drying brushes nice and tidy and easy to find during your busy day, holding up to 6 brushes and made from black durable plastic. **Please note brushes not included. Size: height 9.5cm, width 31cm, depth 10cm. 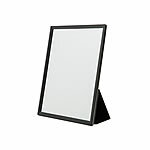 Folding mobile styling mirror with multiple standing positions for optimal range. The i-Mirror also folds down for protection when in transit. Its folding base resembles a iPad or other tablet stood up. Dimensions height 32cm, width 23.5cm. water resistant, bleach proof, stain proof and static free, adjustable neck and zipper lower pocket. Designed to enhance using colour blocking and strategic patterns to creat a hourglass silhouette. Hot Pink Cheetah, White Tiger Stripes and Grey Pinstripes. Available in single, twin pack of triple pack please use the drop down box to choose. 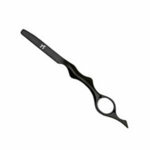 Glamtech Evo 5.5 Inch Iridescent Scissors, well priced stylish hairdressing scissors which are a limited edition Evo scissors, ergonomically design offset handles which put you a perfect cutting position. 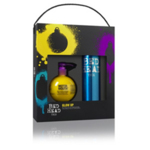 Fantastic gift set for blown up volume and shine. A mega volumiser with gloss like finish. Adds volume with a shine boost which glows under UV light for those wanting to make a statement. Massive shine hairspray with a serious hold to last all day. The Bed Head Masterpiece is humidity resistant and environment friendly. Superstar Diva gift set gives ultimate volume for thick massive hair. Pumps up volume to unbelievable heights. Superstar Blow Dry Lotion builds body & holds style, conditions & repairs and helps protect from heat styling damage. Feel like a queen, look like a superstar! Get volume, body and lift that just won’t quit! Queen for a Day spray adds strength & elasticity, thickens & conditions, Natural and leaves a smooth finish. Reconstruction for blondes and therapy for chemically treated hair. Balanced shampoo with keratin and milk protein, to help reconstruct and care for chemically treated hair. Getting blondes back to their brilliant best. Transform over-processed and chemically treated hair. This moisturising reconstructor uses Protein Booster Technology to help restore the hair at its core, while conditioners, combined with milk extract and keratin, protect the hair externally. Leaves the hair soft, smooth and ready for action. The Party Girl gift set is high on shine with a controlled hold, ideal for any party goer. Smoothing cream for silky, shiny, healthy looking hair. Control the funky flyaways and silk-ify your hair with a lightweight, soft finish. A lightweight aerosol mist that gives explosive shine for immaculate, healthy looking hair. 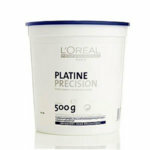 Adds depth to highlights and colour, eliminates static and gives a smooth, shiny finish. The Pick Me Up gift set helps moisture-deprived hair with a massive recovery. Perfect For Moisturising And Strengthening Dry, Damaged Hair. This Recovery Shampoo Helps Hydrates Dried-Out Strands, Protects Colour From Fading, And Prevents Pesky Split Ends. Intense And Reconstructive Action That Targets Areas Most In Need Of Moisture And Repair. 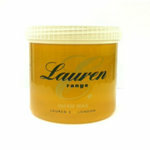 It Will Protect From Thermal And Combing Damage And Leave Your Hair Silky-Soft, And Shiny. Emergency hair repair which targets the damaged areas and leaves your hair silky, smooth, and shiny. Bring weak & brittle hair back to life with this powerful moisture packed shampoo. It will provide continuous repair whilst also being heat protective and color safe. Brings dead-end hair back to life once and for all. The Urban Antidote formula targets areas in the most need of repair, giving your lifeless hair the revival it has been waiting for. Soften, strengthen and help repair damage done by heat and chemicals. Use weekly as an intensive repair treatment to give hair the kiss of life. Kiepe DNA Evolution Speed 3500 Hairdryer, great professional hairdryer from Kiepe, silent and with a very good power and air range, the shape of the handle makes every kind of work easy. 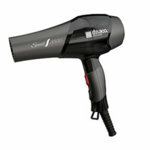 With 2000 watts maximum power, 2 speeds and 4 heating levels and comes with two nozzles included. Available in 6 great colours Black, white, orange, purple, green or blue(please use the drop down box to choose your colour). 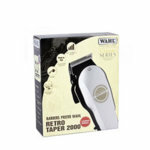 Limited Edition Wahl Retro 2000 Clipper kit is a mains clipper, featuring a powerful and durable V5000 motor providing continuous low vibration clipping, high precision chrome plated blades, convenient thumb adjustable lever adjusts the taper and texture without changing blades. The kit includes, clipper, blade guard, 4 attachment combs 1-4, flat top comb, cleaning brush and clipper oil. 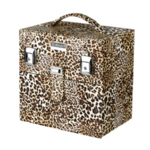 Direct Salon Supplies Leopard Nail Technicians Case, this new beauty case is ideal for the mobile nail technician, it has storage for 24 bottles of nail polish or gels with further storage below. A detachable pouch within the lid for cotton discs is also included. Dimensions: Width 23cm, Depth 16cm, Height 23.5cm. Internal polish holder dimensions: width 22cm, depth 14.5cm, height 8.5cm. Detachable pouch size width 18cm, depth 1.5cm, height 13cm. 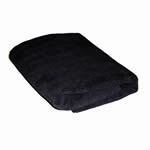 Direct Salon Supplies Barbersn Anti-Fatigue Foot Mat, a black padded comfort anti-fatigue floor mat for barbers. 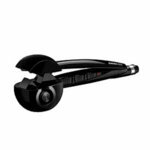 Babyliss Perfect Curl, new from BaByliss the Pro Perfect Curl features revolutionary patented technology that is unbelievably simple and quick to use, you can create beautiful results in no time. 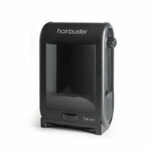 Gentle, quick and easy, hair is automatically drawn into the ceramic curl chamber where it is softly held and heated from all directions. The hair is not put under any tension and it takes just seconds to form a perfect curl. It even has an audio beep indicator to remind you exactly when to release the hair. Experiment with the different settings to create a variety of looks from tight, more defined curls to softer loose waves. With 3 temperature settings, 3 timer settings and the option to select the curl direction, the artistic control is in your hands. From longer length hair to shorter styles, no matter what the hair type, the Perfect Curl will create shiny, long–lasting curls, every time. Features: Ceramic curl chamber for smooth curl creation. 3 timer settings with audio beep indicator for different curl effects. 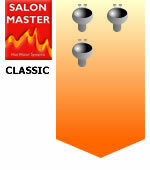 3 heat settings 190°C, 210°C and 230°C for long lasting results. Powerful heating system ready to use in seconds with ultra–fast heat recovery. Curl direction control for either a uniform or natural finish (Right/Left/Auto). Suitable for shorter and long er hair lengths. On/off switch with on indicator light. 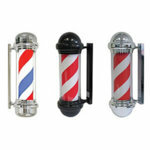 Direct Salon Supplies Traditional Barbers Pole, rotating illuminated 240v electric powered traditional barbers pole. 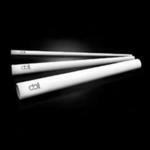 Available in red, white & blue chrome finish pole, red & white in black finish or chrome finish. Dimensions approx height 90cm, diameter 20cm. 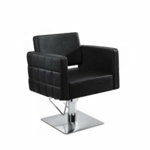 Direct Salon Supplies Miami Salon Styling Chair in black upholstery with square detail on a hydraulic square base. 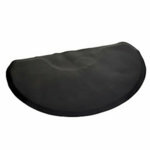 large booster cushion in black for barbers chairs or large styling chairs. Dimensions width 52cm, depth 33cm, height 17cm. 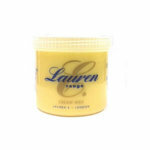 Lauren E Cream Wax 425ml. Premium quality cream wax for the therapist who prefers to use cream to warm wax. Blended with the finest ingredients to produce its distinctive cream colour and silky smooth texture. Also very economical to use. Head Gear Velcro Sleep Rollers Pack 12, Sleep-in rollers are bang on trend at the moment with many celebrities using them and these great value ones from Head Gear are no exception. They have a soft foam inner making them comfortable to sleep in and giving the joy of waking in the morning to hair full of beautiful curls and vivacious volume. Available in packs of 12 and three popular sizes 28 mm Blue, 32 mm Yellow or 36 mm Red which make them a great retail product for your salon. Please use the drop down box to choose your size. TRi Professional Black Razor. Guarded 2 in 1 Blade. Ergonomic design blade catcher included. Clearance REM Spiral Hair Dryer Holster. Stylish wall mounted dryer holder, can be fitted to a wall anyway up, dryer holder centre size 82cm(dryer can be placed in holder with nozzle on). providing your hair with hair benefits that include stunning, healthy and protected hair. great for repaining dry & damaged hair, puts great shine & controls frizz, leaves hair silky and smooth, protects coloured hair with UVA & UVB filters enhancing the life of your colour, incredible detangler and prevents split ends. Doll Twiddle Stic set of three: small, medium and large. Brand New to the market to be used with Straightening Irons to create perfect curls. Unique heat absorbing technology cools the hair while it curls which helps prevent hair damage. See Link Below for a demo video of just how the TwiddleStic works. 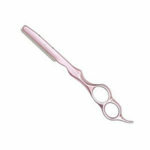 The Deo Threading kit includes everything you need to carry out eyebrow shaping. Contains: 100ml after threading treatment oil; 150ml witch hazel; 300m threading cotton; stork scissors; eyebrow brush and cotton wool pads. GS Razor Replacement Blades box of 10. Diva Hot Pod is a instant heat roller system, your heated roller are ready in only 8 seconds, providing longer lasting results, there are four different sizes of patented rollers 25mm, 32mm, 38mm and 51mm, to create big bouncy curls or soft glamorous waves. Plus points for the hot pod fast heating roller system, heats hot pod rollers (sizes available separately) in 8 Seconds, 4 variable temperature settings low 70ºC medium 90ºC high 110ºC and very high 130 ºC. The Hot Pod has a safety cut out at 160ºC, ultra compact with light indicator display blue=on, orange=heats up, red=ready, also has a audible temperature status with mute function, flocked rollers for easy grip and smooth curls, rollers are available separately only (with clips and pins). Diva Hot Pod Rollers four different sizes of patented rollers are available 25mm,32mm,38mm,51mm(please use the drop down box to choose your size), great for creating big bouncy curls or soft glamorous waves. SESSION INSTANT is the ultra premium professional range designed to cater for stylists in session, in salon & at home. 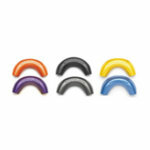 Packs of 4 hot pod rollers come with 4 butterfly clips and 6 roller pins. Pro Oil Pre Colour Skin Stain Reducer 200ml, a great product from Pro Oil which is ideal for customers with skin sensitivity while having a colour or perm. Skin stain reducer can also enhances condition & shine after a colour. Apply with finger to hairline, ears and nape prior to application. 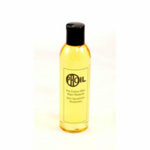 Add 5-8 drops to bleach or colour to reduce skin sensitivity and also to improve condition and enhance shine. Direct Salon Supplies Coiffeur Trolley with 5 Drawers, Hairdryer Holder and castor wheels for easy mobility. Sizes: 82 x 33 x 33cm. 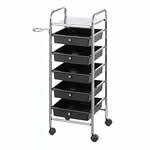 Direct Salon Supplies Storage Trolley with 8 drawers, hairdryer holder and castor wheels for easy mobility. Munich stylish free standing floor footrest. 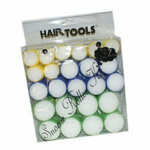 Hair Tools Snooze Rollers Yellow 32mm Pack of 6, Cling Rollers you can sleep in! Designed with a inner sponge that will flatten when you lay down, allowing you to sleep more comfortably and wake with fantastic curls! snooze rollers are a great new idea to let you sleep comfortably with rollers in and wake up to fabulous curls. They're a cling roller, but instead of a hollow middle, they have a sponge inner which flattens when you lie down, so you get a comfortable night's sleep but still have great hair in the morning. This pack has 24 rollers containing 8 of each size, 32mm, 40mm and 48mm. 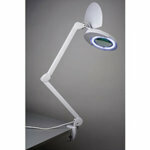 Direct Salon Supplies LED Mag Lamp, Magnifier lamp, magnifies 5 times, 56 LEDS for cold white light, 5W - 6 dioptres, comes with table vice. 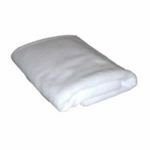 Nekeze Wash Point Cushions. Stylish salon back wash cushion for complete comfort during hair washing, available in 3 great colours Yellow, Blue and Purple, please use the drop down box to choose your colour. Gripeze Heat Protective Mats, the heat mat that grips to most surfaces and grips your straighteners as well, reducing slippage and accidental damage to people and property. The Gripeze heat mat changes colour, when your straighteners are hot, giving you an at a glance warning that your straighteners are on or too hot to touch. Also great for use on flat topped trolleys as an anti slip product mat. Size Approx 200mm x 300mm. Available in Black or Pink, please use the drop down box to choose. All £24.75 except Rem Sierra which is £35.50. NEW Direct Salon Supplies 3 Col Purple Appointment Book, 3 column appointment book with 8.00am to 8.45pm timings. NEW Direct Salon Supplies 6 Col Purple Appointment Book, 6 column per page appointment book with 8.00am to 8.45pm timings. separate small compartments for scissors and combs. Size closed width 34.5cm, depth 27cm, height 11.5cm. Open width 87.5cm, depth 37cm, height 11.5cm. Please note tools not included. Great designer glass disinfectant jar with decorative acrylic knob, stainless steel implement basket and lid. Size height 25.5cm, diameter 10cm. Direct Salon Supplies Beauty Appointment Book, a great appointment book with a great layout with times from 8.00 am till 8.45 pm with 6 columns. Termix Evolution Brushes Counter Display Introductory Offer. Buy 3 x 17mm, 3 x 23mm, 3 x 28mm, 3 x 32mm, 3 x 43mm, 1 of each, in Soft, Basic and Plus. A total of 15 brushes and receive a free retail counter display. Retail value £228.00. Create lasting impressions with your personal logo and design. The Beautuft Entrance Mat is a hard wearing protective mat. It effectively traps dirt, dust and moisture giving unbeatable impact at the door of your Salon. 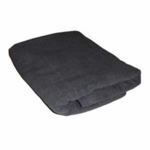 These mats can be machine-washed at 40 degrees C and are supplied with a non-slip nutrite rubber backing. Mats can be produced either portrait or horizontal. Available in 2 or 3 colours and 3 different sizes (Please use the drop down box to choose your size). We will then contact you for your logo and design. Please click the smaller image to view the larger image. 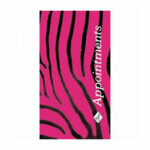 Agenda 3 Col Pink & Black Zebra appointment book. Wahl Comb, Brush and Scissor Roll. Multi-compartment storage, helps keep your styling tools safe and tidy. Please click on image for an internal picture. 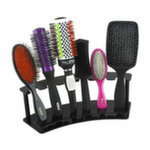 Babyliss 3 Piece Ceramic Professional Brush Set. Includes 2” Round Thermal Brush, 5/8” Round Thermal Brush and Medium Vent Brush. Made from commercial grade Ceramic which is the highest quality and most durable & ultra smooth surface, giving hair a shiny, glossy finish with minimal hair damage. AMA Silhouette Scissor Sets. The Popular Silhouette range now comes in a complete set of scissor, thinner and Occams Razor, all put together in a leather holster. 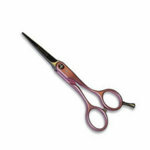 scissor size and designs. Available Leopard 5.25, Leopard 5.75, Blue Flower 5.25, Blue Flower 5.75, Pink Star 5.25, Pink Star 5.75, Camouflage 5.25, Camouflage 5.75, Zebra 5.25, Zebra 5.75 (Please use the drop down box to choose). Made out of reinforced canvas, the Wahl Tool Carry will literally swallow all your hairdressing equipment and then some. There's a 10-inch-deep open compartment with a hard floor, that's perfect for bigger tools like hair dryers or straighteners, or for large cans of styling products like hairspray. Then there's a similar-sized zipped compartment that's great for the things you want to keep secure and easy to find, like scissors, brushes and combs. Of course, as you'd expect from Wahl, the Tool Carry also has pockets that are specially designed for clippers and trimmers. In total there are 6 pockets of varying sizes on the front and sides of the bag, so plenty of space for leads, chargers and other kit too. One even has a velcro flap making it a secure place to keep your mobile. 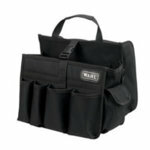 With a sturdy carry handle and an adjustable shoulder strap, the Wahl Tool Carry is easy to transport and, when you're finished with it, can be folded flat for easy storage. 2 x DSS Gigant black salon trolleys. Amargan Hair Therapy Oil 30ml, Amargan Oil is a revolutionary, non-greasy, leave-in conditioning treatment offering instant softness and shine for all hair types. Product points are as follows: softens thick, unmanageable hair, restores shine and softness to dull lifeless hair, instantly detangles for ease of combing, helps eliminate frizz and controls flyaway hair, strengthens brittle hair, heals and repairs hair damaged by colouring and styling, soothes the scalp (alleviates itchy, dry scalp), protects against UV Damage and other environmental factors, can reduce drying time by up to 40%. Great for finishing styling product. How to use after shampooing add a few drops of Amargan Hair Therapy Oil to the palms of your hands and work through damp hair from roots to ends (Do Not Rinse Out). Style as usual. Direct Salon Supplies New Trolley Case. This new trolley case measures 40cm x 30cm x 57cm in height. A large upper section allows for safe transport of any number or hairdressing or beauty products. Additionally there are three drawers in the lower section. The large drawer measuring 36cm x 21cm x 27cm and both the small drawers measuring 36cm x 21cm x 5cm. The trolley case comes with 3 wheels and pull-along extendible handle and shoulder strap. Trolley weight when empty is 6.2kg. Keipe Soft Touch Tweezers, Available In 9 Different Colours or as a pack of 24 Which Comes In A Plastic Display Box. Please Use Drop Down Menu For Choice Of Colour And Quantity. 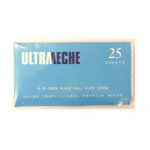 Direct Salon Supplies Blue 4 Brush Set. Barrel Diameters are 20cm, 28cm, 33cm & 45cm. Poly Head for wig display. Riley Cuberakk Tint Stacking System. A stacking system for tinting tubes which can be built to the size and quantity required using the cube system. When cubes are linked together, extra storage space is created. Each cube holds 12 tubes and are sold singles or multiples.
. Probably one of the most comfortable cutting stools available in it own right, the fact that it also works as a reception chair is very handy when space is tight.The stool that thinks it's a chair! 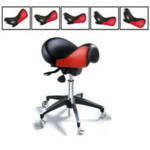 -Gas cylinder to adjust the height adjustment of the stool. Direct Salon Supplies Flexi Pink Cape with Velcro fastening. Easy care wrinkle proof soft non-iron fabric. Size: Length 110cm, Width 126cm. HT Gaddum Pop Shots. "Add A Pop Of Colour To Your Salon" 100% cotton towels, 440gsm, 50cm x 85cm. Range of colours include Hot Pink, Bright Orange, Purple Rain, Disco Jade, Bombay Blue, Juicy Lime and Sunshine Yellow (Please use the drop down box below to choose your colour). 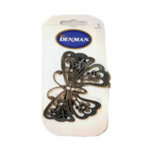 Denman 9cm metal jewelled filigree Butterfly Barrette. Direct Salon Supplies Steel Style II Electronic Colouring Scales with touch screen, 0 - 2kg. Save money on your colouring costs throughout the year by weighing the correct amount. Termix Evolution Brush Pack. 5 Termix Brushes sizes: 17mm, 23mm, 28mm, 32mm and 43mm. All Termix brushes are Teflon-Coated leaving the hair very soft and shiny. They are ergonomic, which makes them comfortable and lightweight, resistant, which means during assembly there is no glue just heat (they do not come apart), bi-material, soft to the touch and non skid. All brushes available in White Brush Soft(For Fine Hair), Grey Brush Basic(For Normal Hair), Black Brush Plus(For Thick Hair). 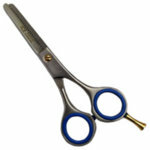 Made from Japanese steel, the Silhoutte is a whole new look in the scissor world. 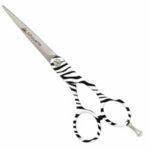 Funky and lightweight for the stylist who is tired of using heavy, poorly balanced scissors and wants to stand out from the crowd. Available in 5.25" & 5.75". 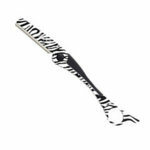 AMA Occam’s Zebra Hairdressing Razor. Features include a blade guard, non slip handle and swivel finger ring. The razor takes a feather styling blade. African-Caribbean Hairdressing, second edition, is the only book written in the UK for students and professionals studying and working with this client group. This edition has been fully updated for the revised NVQs and is even more comprehensive than the first edition. It contains new chapters on natural hair; hair extensions and on black skin care and make-up. This book takes the reader step-by-step through each skill area with the aid of numerous full-colour illustrations and photographs. It also contains tips, activites and health and safety guidance throughout. This all-encompassing guide covers all aspects of working as a nail technician. The Encyclopedia of Nails clearly explains the skills, procedures and practical know-how required to train and work in this exciting industry. The Encyclopedia of Nails provides everything you need to know about nails from manicure and pedicure treatments to the latest health and safety legislation through to day-to-day life in the salon. The forth edition of this best selling coursebook for all S/NVQ Level 2 students has been fully updated to meet the current hairdressing standards. Each chapter is mapped to the new S/NVQ units, providing all the necessary knowledge and a clear explanation of the skills required in today's employment market. The new edition of this best selling textbook has been fully revised in line with the latest specifications for all major awarding bodies. It provides students with the essential knowledge required to pass the anatomy and physiology component of complementary and beauty therapy courses from level 1-3 as well as specialist diplomas. It also provides practical introduction for students of complementary health. Published in full colour, this new edition brings anatomy to life with numerous illustrations, activities and exercises. The book includes chapter summaries and self-assessment questions to aid revision and a guide to electronic resources to encourage further reading. In addition, a comprehensive glossary provides an invaluable reference tool. HeadJog 197 Nouveau Neck Brush, with soft bristles and with an offset handle. Available in small, medium and large, please use the drop down box below to choose your size. Haito Pink Scissor Holster is a stylish leather-effect scissor pouch, with clip on belt hook and secure press stud fastening. Holds two pairs of scissors. Haito Pink Scissor Pouch is a stylish funky leather-effect hard wearing tool pouch with an adjustable belt or easy fitting shoulder strap, press-stud fastening and 15 great storage compartments including a zip-up section to hold a variety of styling tools. Direct Salon Supplies LED Hair & Beauty Static or Flashing Sign. Sizes: 300 x 580 x 17mm. Click here for video of this sign in action. 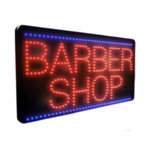 Direct Salon Supplies LED Barbers static or flashing sign. Sizes 300 x 580 x 17mm. Bob Tuo Tool Skirt Scissor. Comb and Brushes Apron. Head Jog Pink 5 Brush Set. The latest brush range from Hair Tools featuring Ceramic and Ionic Technology. Combining the latest technology with the hottest colour, the Head Jog PINK Radial Collection offers style and functionality in the very highest quality radial brush. Ionic Bristle Radial Brushes with Ceramic Coated Barrel. Vent holes allow warm air to circulate at the roots of the hair, to allow fast & effective blow-drying & styling. With ergonomically designed handles for Easy Grip & Maximum Control. Contains: 1 x Head Jog 76 – 25mm Radial, 1 x Head Jog 77 – 33mm Radial, 1 x Head Jog 78 – 43mm Radial, 1 x Head Jog 79 – 50mm Radial and 1 x Head Jog 80 – 60mm Radial and large oval carry bag. Already well established in America, a new hand protection shielding lotion that bonds with the outer layers of the skin, New ‘Gloves in a Bottle’ is a non greasy, non-sticky, hypoallergenic & completely safe hand protection shielding lotion that is an ideal skin safeguard. Artificial lotions only attempt to replace natural oils with artificial moisture, but they come off every time you wash. One application of Gloves in a Bottle does not wash off & works like an invisible pair of gloves preventing dirt & grime from penetrating the skin. 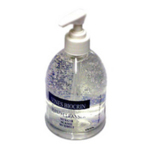 These ‘Invisible Gloves’ keep moisture-robbing irritants out while retaining your skins natural oils. Gloves in a Bottle rapidly absorbs into & bonds with the outer layer of skin providing a protective glove-like coating, that comes off naturally with exfoliated skin cells after at least 4 hours. It is an ideal moisturiser for dry, extremely dry & cracked skin by allowing skin to breathe & retain its natural moisture & oils. Sufferers of eczema, dry/itchy, cracked skin are often deprived of their pleasures in life because harsh weather or chemical irritants badly affect their skin. Many workplace & household chemicals are absorbed directly into the skin, causing dry, itchy, & cracked skin. Conventional lotions just replace natural oils with artificial ones, offering only temporary relief that does not heal the skin. Babyliss Pro Pink Passion Power Dryer, Long Life AC Motor,1400 Watt, 6 Heat/Speed Settings and Cold Shot. Professional Massage/Tattoo Chair. High quality silver coated metal frame. The face rest, seat, height and angles are all fully adjustable for client comfort. The massage chair caters for all heights, weights and body sizes. BaByliss Pro New 30 Piece Ceramic Heated Roller Set. 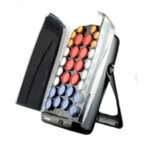 30 Ceramic rollers in 4 sizes, folding arm for vertical positioning, easy grip rollers with cool rims, 2 heat settings. 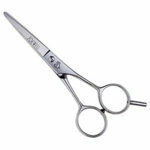 Direct Salon Supplies Student Ice 5 Inch thinners with single blade. Joewell Classic Hairdressing Scissors is made from a supreme stainless alloy and has two extremely sharp blades to ensure extra long durability. Available in sizes 4.5" , 5.0", 5.5", 6.0", 6.5", 7.0" and 7.5", also 4.5" serrated(please use the drop down box to choose your scissor). BaByliss Porcelain Black Conical Wand. 25mm Conical Barrel tapering down to 13mm. A wand to create curls with attitude simply wrap and style. Also available in 32mm to 19mm. (Please use the drop down box to choose). 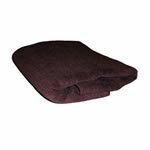 Includes free heat mat to protect surfaces. TRi Professional Pink Razor. Guarded 2 in 1 blade. Ergonomic design blade. Catcher included. Hair Tools Black Round Mirror and Wall Bracket. 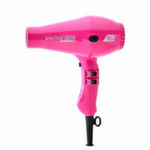 Parlux 3200 Compact Pink Hair Dryer, a lightweight. but ultra powerful dryer, features the new Revolutionary “K Lamination” motor, which is lighter, more durable, and very powerful. With a 1900 watts motor with a airflow 69 cubic metres per hour, weighing only 550grms and measuring only 20cm. BaByliss Forfex Palm Pro Trimmer. Designed for trimming sideburns and neckline, ergonomic comfort grip with easy to use trigger switch enables micro-trimmer to have a snug fit in your hand. Cordless, battery powered. 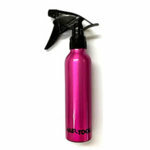 Hair Tools Pink Metalic Ally Water Spray. Hair Tools Hair Dryer or Straightener Workstation Stand. Chrome multi-purpose stand that will hold variety of styling appliances e.g. hair dryers, straighteners, etc. The base section features a rubberised coating that provides stability and grip as well as surface protection. Suitable for use with most professional hair dryers. Wahl Tool Carry. Ideal for College. 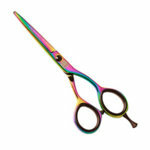 TRi Colorline Pink Scissors. Also Available in Sizes 5, 5.5 and 6 Inch (Please use the drop down box to choose your size). Wella Blondor Multi Blonde 400g. Oil enriched formula dust free bleaching powder from Wella. 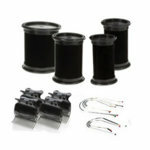 Direct Salon Supplies Jupiter Styling Unit. 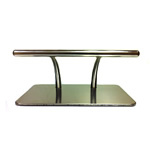 Polished stainless steel finish, chrome footrest, dryer holster, with glass shelf. 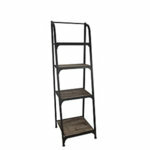 Sizes: Width 700mm, Depth 330mm, Height 1950mm, floor to shelf 770mm. Designed for use in the unisex salon and BARBERS shops. the beginning of the week, or both for busy periods such as Fridays and Saturdays. Making this unit one of the most efficient hot water systems ever. Can be installed anywhere within your salon. For a limited time only we can now offer the choice of either the Salon Master Timer (RRP £44.50 +VAT) or the Salon Master Anti-Limescale Buster (RRP £69.00) free of charge. Please use the drop down box to choose your free gift.